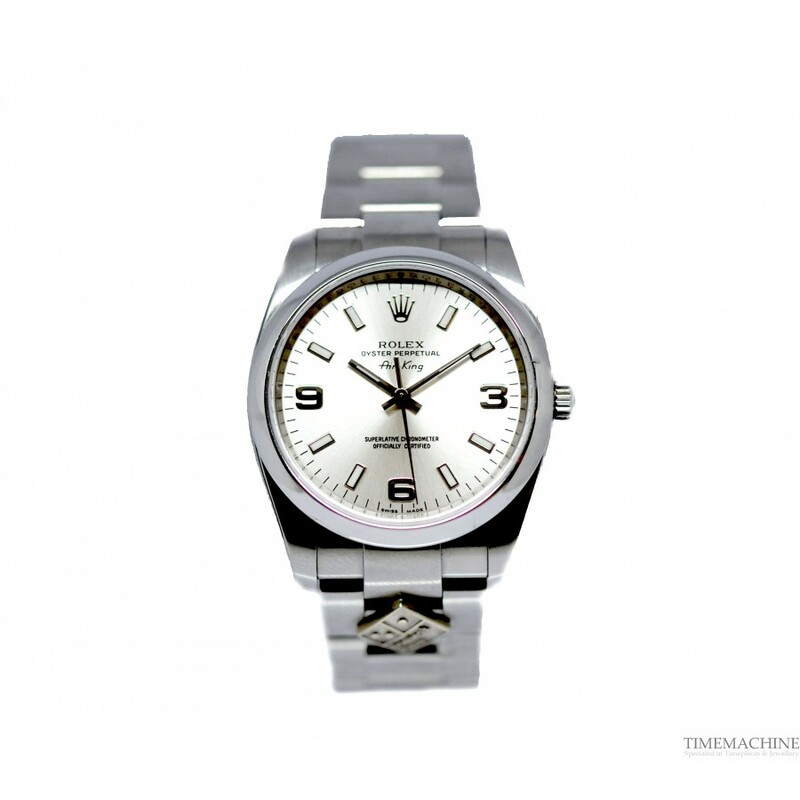 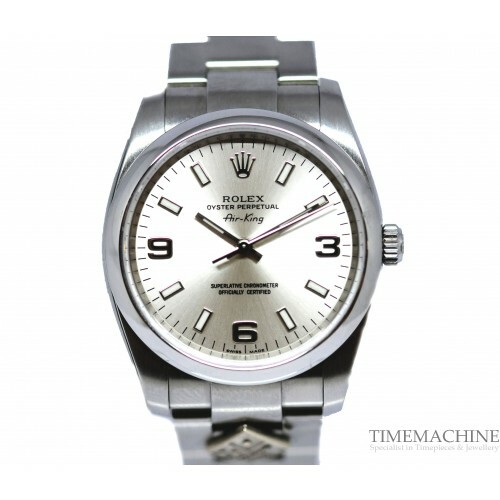 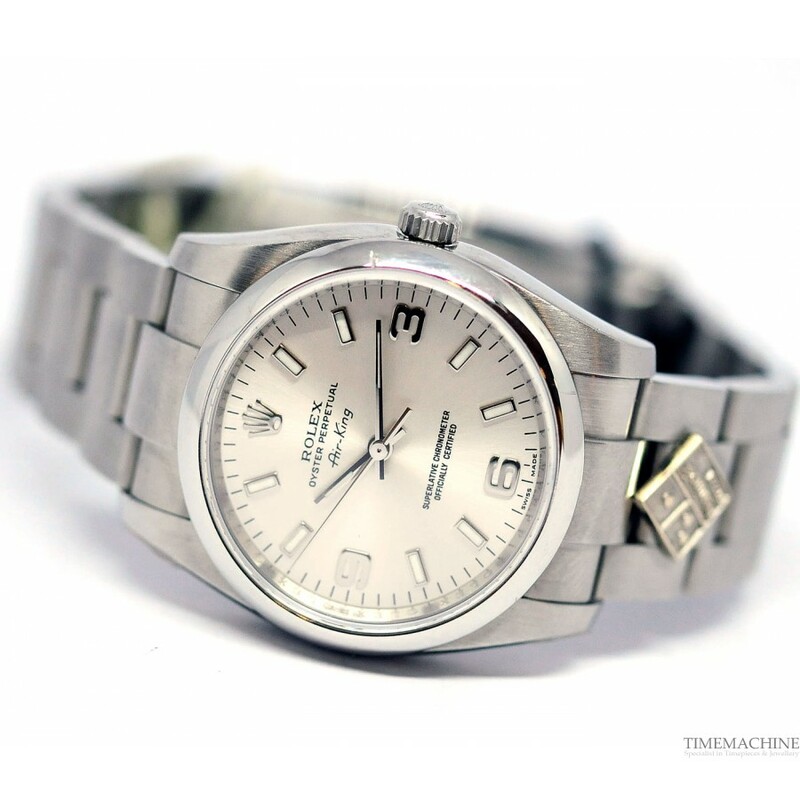 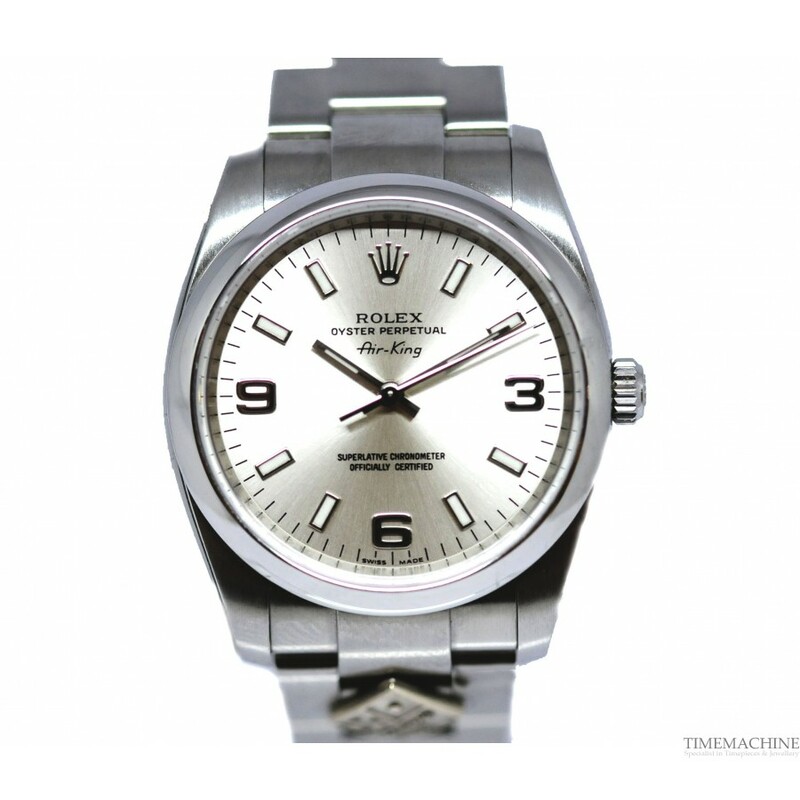 Pre-Owned Rolex Air King Dominos Special Édition Réf: 114200 "Dominos Pizza", mint condition, stainless steel bracelet with deployment buckle, 37mm, automatic, silver dial with arabic numerals. 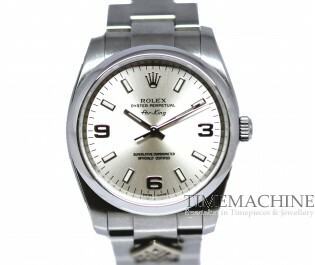 It as Original box and Manufacturer papers with 12 months TM mechanical guarantee. 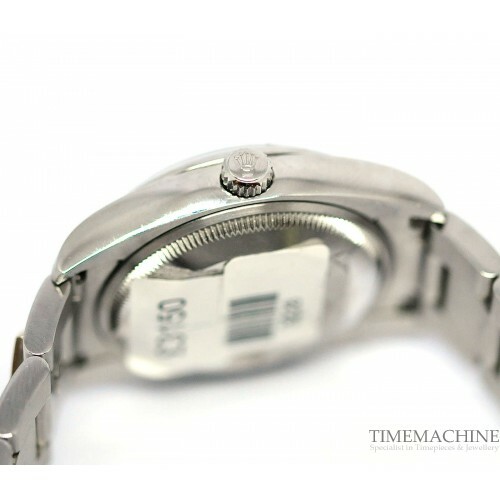 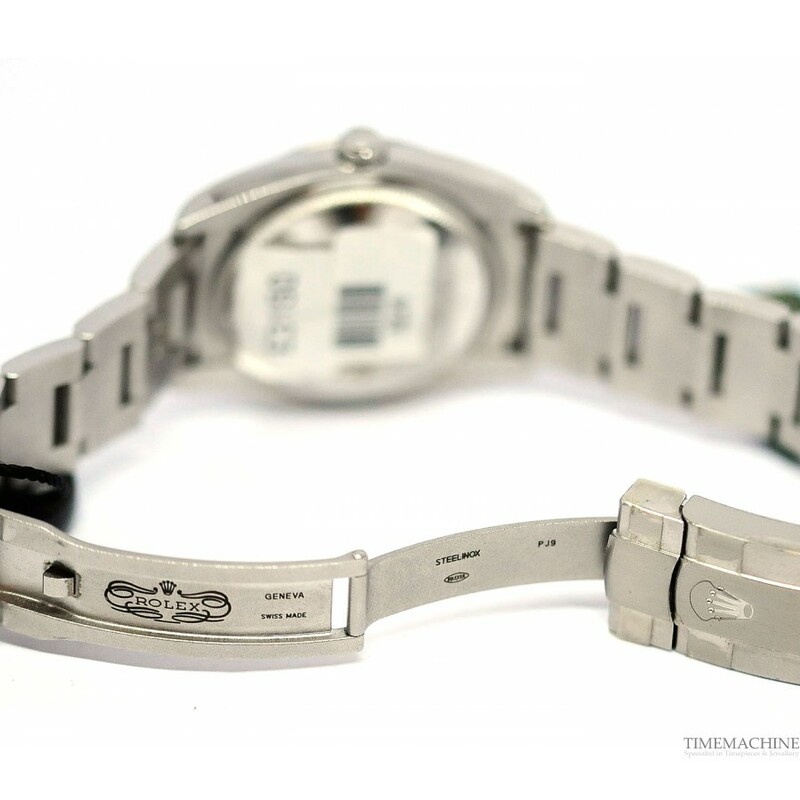 Please quote 3228 in all communications with us regarding this Timepiece.